Measures severity of airway obstruction in pediatric patients using clinical observations. The PRAM has been used in patients 3-17 years old and works best to evaluate improvement of symptoms pre- and post-treatment. Pediatric patients (3-17 years old) with asthma exacerbations. The Pediatric Respiratory Assessment Measure (PRAM) provides an objective assessment of asthma exacerbation severity and can predict likelihood of admission or extended ED stay. The PRAM does use clinical findings like retractions (which can play a direct role in the decision to admit), and it may over-estimate the score's independent value. The PRAM is not typically used in severe asthma exacerbations, as these obviously require very aggressive, intensive treatment (including admission). This score can help decide which patients need admission, especially when providers disagree or the patient may be “borderline” for needing admission. If asymmetry, use the most severely affected lung field. If asymmetry, use the two most severely affected auscultation zones. The PRAM works best when done initially and after treatment to show a trend, but this may be the same as clinician reassessment as well. Chalut DS, Ducharme FM, Davis GM. The Preschool Respiratory Assessment Measure (PRAM): a responsive index of acute asthma severity. J Pediatr. 2000;137:762–768. 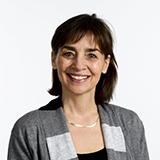 Francine Ducharme, MD, is a professor of pediatrics and an affiliate professor in the Department of Social and Preventive Medicine at the University of Montreal. She currently practices as a pediatrician and epidemiologist at CHU Sainte-Justine. Her research focus is on educational and drug interventions and improved pediatric respiratory guideline compliance.